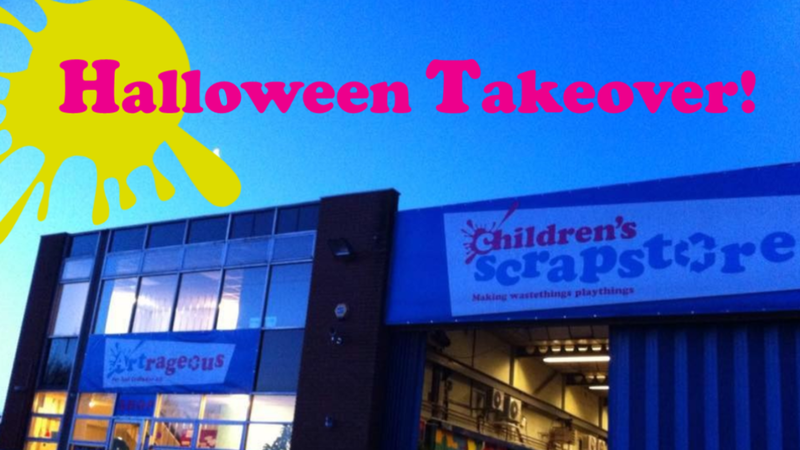 Our Halloween Takeover is back for 2018! We’ll be spooky-ing up our corridors for a two-day event, filled with family friendly frights, seasonal crafts and games, and a special appearance from the elusive Scrap-Monster! The Halloween Takeover event will run from 5-8pm on 30th and 31st October, with Trick or Treat trails departing at 15 minute intervals – it is important that you book your time-slot for the trail, although ticket holders are welcome to stay in the free-flow area from 5pm-8pm before & after their trail experience. Accompanying adults do not need to buy tickets. Please note: This event is a no-alcohol zone!